Who’s Behind The Blogger Re-Tweet Accounts? If you’re a blogger, you no doubt use Twitter to boost your readership, promote your posts, and network with brands and fellow bloggers. A great way to get your blog seen by more people is to tweet a link to your latest post and include the handle of a blogger re-tweet account, and they’ll promote it to all their followers. There are so many of these accounts, with more cropping up all the time, including @Bloggeration_, which I run. I know firsthand the amount of time and dedication required to set up and grow a re-tweet account, so I couldn’t help but wonder who’s behind some of the most well-known re-tweet accounts, and what motivates them to keep promoting the work of bloggers. Here are six re-tweet accounts you surely must be following – amazing women promoting the creative output of (mostly) other women, working free of charge, and with community-building always at the forefront. Ladies, I salute you! When did you start Female Blogger RT and why? July 2013 – I noticed RT accounts for other genres, specifically sports bloggers. I did my research and found that there weren’t these types of services for the female blogging community, so I wanted to create that. How much time a day do you dedicate to running Female Blogger RT Twitter? I wouldn’t be able to put a time frame on it. It varies by week depending on what we have going on. We could be running a campaign, which requires more attention, or just randomly interacting with bloggers, which would be more sporadic. Is it global, or mainly US bloggers? Our community is global. While we are located in the US, our current largest segment is UK bloggers, followed by US bloggers. Who is the person behind Female Blogger RT and what do you do? Kaylin (Kali) Andress – I am the founder of FBRT. You can find me on Twitter & Instagram @kaliwood02. I have a small team that helps me run FBRT, but we all have full time jobs outside of blogging. We do everything from marketing, interaction, strategic planning, prospecting, campaign fulfillment, and blogging. How did you get Female Blogger RT off the ground – how do you get people following? The great thing about FBRT is that it grew so organically. Like I said, there was nothing out there like it when we first started, at least from our research. It was definitely slow moving at first, but once people understood the concept, it grew on its own. The community is designed that way. The more bloggers who take advantage of the services, the more the word gets out there about FBRT. It’s a great circle of continuous growth. Have you thought of having a weekly Twitter chat? We have thought about it, but it’s not something we can dedicate our time to right now. Since our biggest audience is in the UK, we would probably need to partner with someone who could run it in those time zones. I think part of our success is the hands-off approach. We don’t try to do too much. The community naturally interacts and bloggers get out of it what they put into it. So, they don’t really need us to intervene on a big level. They have each other, and that’s the foundation. Have you had any feedback or questions from bloggers? We’ve honestly had nothing but positive feedback from bloggers. We will get tweets or emails from bloggers thanking us for getting them exposure and for creating a community where they can connect with other like-minded bloggers. Do you Retweet every post? If not, how do you choose what to RT, and how can a blogger make sure they get RTed? We cannot RT every post due to Twitter restrictions on tweets per day. We get over 3,000 mentions from bloggers every day, so it’s impossible to RT them all. Our automated system randomly RTs while remaining in line with Twitter’s regulations. One way for bloggers to increase their chances of a RT from us is to not mention any other RT account in their tweets. Our system will not RT if our competitors are mentioned. That just helps us keep our community independent and differentiate us from others. What do you personally get out of running Female Blogger RT? Is there any direction you’d like to take with what you’ve built up? FBRT exists for our main purpose: gaining exposure for bloggers and helping bloggers discover/connect with others. We’ve stayed true to that since our founding and I’m really proud of that. I feel fulfilled when I see two bloggers connecting in our community, swapping tips, or supporting each other. Do you think there are too many blog post re-tweet accounts now on Twitter, or would it be easy for someone to start a new one? I have seen the trend of blogger RT accounts popping up all over Twitter. I think because of this, new ones aren’t growing as quickly or organically as we did from the beginning. They are easy to start, but because of the saturation of the market at this point, finding quick success would be difficult. If these communities are something you are passionate about, and you want to get involved, I would suggest reaching out to us as we are always looking for motivated partners. When did you start FBL Bloggers and why? FBL Bloggers started in January 2012, during my penultimate year at University, because I wanted a community for bloggers. I had been blogging for a year at the time and I felt kinda lonely, as I didn’t have blogger friends or a haven. I felt compelled to create a community that didn’t focus on fashion and beauty, but a community that was truly diverse. I wanted bloggers of all niches, races, genders to feel that they had a place. How much time a day do you dedicate to running the FBL Bloggers Twitter? Alot, lol. I try to treat it like a work day, so 9am to 5 or 6pm – about 8 hours? I pre-schedule a lot of content, but spend my time moderating and planning for the network. It is a lot of work, but I’ve realised that I need to have a life too, so I rarely do anything to do with blogging on my days off. Is it global, or mainly UK bloggers? FBL Bloggers, has a strong base in the UK. But we are international, with bloggers from the USA, Australia, Amsterdam, etc, interacting with the network. It’s mad that it has grown so much – I am truly proud. Who is the person behind FBL Bloggers and what do you do? My name is Jessica (Jess to my friends). I am a 25 year old London gal, who is bubbly, creative and driven. I aim to push people around me, who I know have potential. 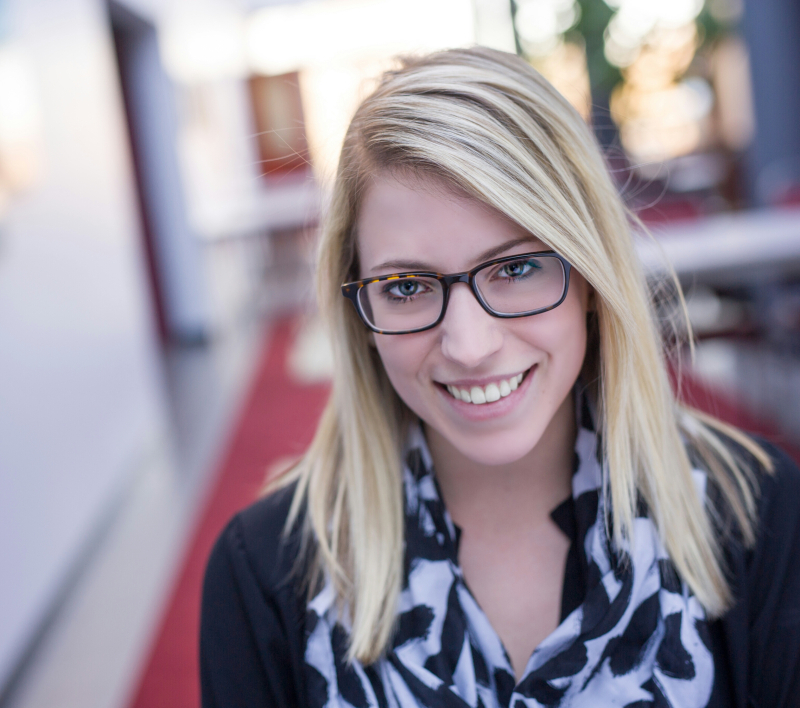 I also challenge the status quo and want to make a difference in any way I can. Other than this, I am a social butterfly! I am always doing something. I love music, food (which you’d know if you follow me on snapchat) and generally having a great time. I’ve worked in digital marketing for the last 5 years, between content marketing, affiliate marketing, influencer marketing and social media marketing. I am now working part time in social media, whilst working on my blog, and also FBL Bloggers. How did you get FBL Bloggers off the ground – how do you get people following? FBL Bloggers is a classic example of word of mouth marketing. It started with the FBL Bloggers Facebook group, which has 11k members now. People talked about it and then they joined. Soon after, I created the twitter and then the #FBLCHAT. Now that has nearly 30K alone! Did you start #FBLChat as a natural progression? Or was it something you planned on from the start? The #FBLCHAT was a natural progression. I got involved in chats such as #bblogggers & #fbloggers and I enjoyed them. However, I realised there was no chat that focused on all niches, and a chat that went against the status quo at times. We not only talk about fun topics like photography, but also topics like diversity in blogging. I have had really great feedback from bloggers who love the network and especially the #FBLCHAT. It warms my heart, you know, because I have sacrificed a lot to make FBL as great as it can be. It’s great that I’ve have made alot of friends due to this, and many bloggers are always willing to help to take the FBL Bloggers page to the next stage. We aim to retweet posts in intervals, a few in the morning, afternoon and evening between 9am-7pm. We try to limit re-tweeting posts that have been constantly tagged and any we’ve re-tweeted in the last hour or so to make it fair to everyone. However, as the network is so big, there are times that we wont re-tweet every blogger. There isn’t a particular criteria to re-tweeting, we just want bloggers to have their content shared. However, we’ll now be asking bloggers to use the #fblchat hashtag, that way we can produce more content on our profile that is engaging. What do you personally get out of running FBL Bloggers? Is there any direction you’d like to take with what you’ve built up? I like that I have created a platform where bloggers can network. I like that it has proved to myself and other people, that if you work hard at something you can achieve anything. I am taking the FBL Bloggers site to the next stage where I constantly want to work with brands to provide opportunities to bloggers. In addition, I am working on taking the #fblchat to the next stage, and creating something beneficial for bloggers. So watch this space. Yes I do, and in essence it is easy to start one, but it takes a while to generate a following. I think a lot of people get mixed up with the purpose of FBL Bloggers. A lot of bloggers feel that it is a re-tweet account, however it is more than that. It’s a community that allows blogger to collaborate, we also work with brands to provide opportunities and do competitions, which we will be doing more of. When did you start LBloggers Chat and why? Confession time – I actually didn’t start LBloggers Chat! It was one of my very close friends that did. She no longer had the time to run it so I volunteered. I would imagine that she created it as a way to unite lifestyle bloggers and encourage friendships within the community. How much time a day do you dedicate to running the LBloggers Chat Twitter? I don’t spend a lot of the time running the Twitter. The majority of time spent is the chat side of things – such as booking chat hosts in, dealing with queries and of course, joining in the chat! I would say a few hours per week at most. Is the community global, or mainly UK bloggers? I actually do see a lot of non-UK bloggers pop up in my feed. We have had chat hosts from Europe, America and South Africa to name a few. It’s been interesting to see how blogging is viewed in different countries and cultures. I have been told that blogging is more of a ‘thing’ in the UK then it is in America for example. Who is the person behind LBloggers Chat and what do you do? Haha! That’s a secret, but I can tell you that I am a blogger myself. I’ve been blogging for over 5 years, and I also have a full time job (not blogging related) as well. How did you get LBloggers Chat off the ground – how do you get people following? As I am not the original creator I’m not sure I can answer this fully, but I like to think people follow because they enjoy the stability and reputation of the LBloggers chat. I don’t want to brag, buuuuut it is the most popular Twitter chat *wink wink*. I do my best to make sure that both chats a week have a host (whether it is myself doing it or someone else), and that there are a variety of topics to discuss, and I think bloggers appreciate it. They know that there will always be an Lbloggers Chat on Wednesday and Sunday 7pm-8pm. Did you start the #lbloggers chats as a natural progression? Or was it something you planned on from the start? Again, as I’m not the original creator I can’t answer this, but I think the Twitter has always been intended for chats. It’s only recently that I’ve been focusing more on the RT side of things. I ask that bloggers RT the promotional tweets on the day, so that they reach as many people as they can. I like to hope that’s how people find out about the chat. I have been told that they enjoy the chat, either through hosting or just taking part. It’s always nice to see people enquire about hosting again because of the fun they had. When I first took over, I was rather guilty of RT-ing every post that came into my feed. Now that there are even more posts in my feed, I have to be careful. No one wants the same tweet 5 times in a row. My advice to bloggers would be to use a nice picture with their link and to also be mindful of the hashtags and RT accounts they include. It is slightly off putting to see someone promote their link with 8 other RT accounts, often multiple times a day as it’s often the same link. I know it’s hard to stand out nowadays, but it isn’t very inviting and does come across as very self-promotional. I always say that engaging with other bloggers through things such as commenting on blogs, and joining in Twitter chats are much better ways to get your blog out there. What do you personally get out of running LBloggers Chat? Is there any direction you’d like to take with what you’ve built up? I get a lot of stress out of running the chat (I kid, I kid!). What I get out of running the chat is knowing that I’m continuing my friend’s hard work. She created Lbloggers Chat from nothing and I would hate to think I’m letting her down in some way. I also use the account to RT my own blog posts – ha! I’m having a think about what I could do with the rising popularity of the chat, but as I have my own blog and my own life, including a full time job, I also have to ask myself whether I would be able to continue the level of commitment and attention I give to the chat. I would rather just keep running the chat and Twitter account with 100% commitment, instead of taking on a related project (for example, an LBloggers blog), and potentially only being able to commit 50% of my attention. I think that RT accounts will always be welcomed, they are rather helpful. I do think that there needs to be more niche RT accounts to encourage communities. Not all blogs are necessarily beauty and fashion, and I think some more niche-specific RT accounts would be beneficial to the overall community. When did you start Blogger Bees and why? Oh wow, April 2015! I didn’t even realize how fast time has gone. 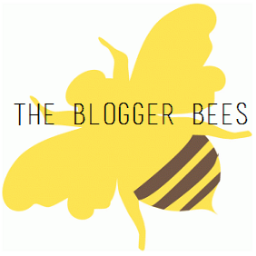 Blogger Bees’ one year anniversary was April 18th and we just hit 10K followers last week. I used to blog (sporadically). I wasn’t sure how to get my posts seen to the masses and started using retweet accounts. I started my own because I wanted more interaction between bloggers, and that’s how Blogger Bees was born. How much time a day do you dedicate to running Blogger Bees? I usually spend about an hour or two a day making sure that I’ve retweeted all the notifications that the auto-service missed. I also respond to any questions, polls and promote the weekly chat. 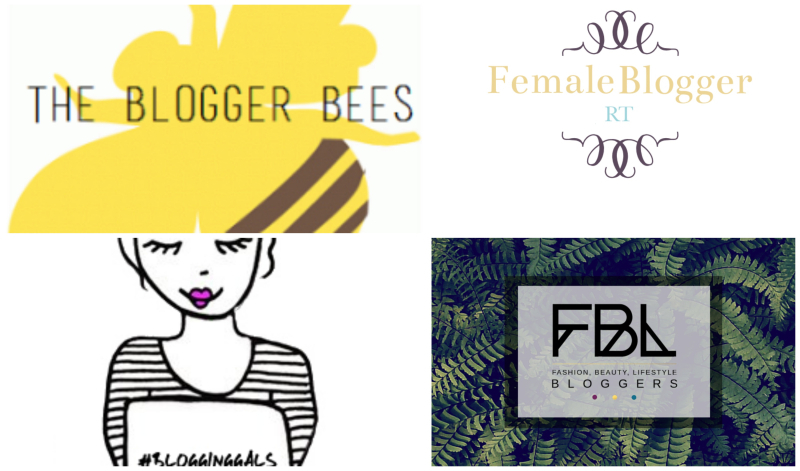 Is Blogger Bees global, or mainly US bloggers? Blogger Bees is global. Anyone is welcome to join and have their blogs promoted! Who is the person behind Blogger Bees and what do you do? My name is Freda, I live in the US, and right now I work from home as a freelance writer. I’m obsessed with Netflix, my hubby, and Pinterest. I also have two wonderful ladies that help me run the account, Lindsey Elizabeth (@LinElizabeth89) and Marikah (@rebellexmj). How did you get Blogger Bees off the ground – how do you get people following? I had a natural following by letting bloggers know I existed through hashtags. I also started randomly retweeting bloggers. You have to share the love right? I made it a point to talk to other bloggers about specific things I like about their posts and forge relationships. I’m a real person behind the account! Did you start the #ChattyBees weekly chat as a natural progression? Or was it something you planned on from the start? It was definitely a natural progression. I wanted more interaction, and wanted to know the wonderful bloggers behind the links. So, I decided to start a chat that’s dedicated to getting to know the blogger on a different level. We rarely talk about blogging because they do that in other chats. It started after the new year and has taken off since then with guest bloggers as well. Bloggers from everywhere participate, but mostly the US and UK. Bloggers ask random questions about the chats and other blogging info but nothing specific. I’m always open to feedback on how to grow and improve the account. Yes, I definitely try to if I have the time. The auto-service does a bulk of the work but I always try to log on and get everyone. If you want to be RTed make sure to mention me at the end of your tweet (instead of at the very beginning). This is so important because otherwise, Twitter and the auto-service will think we’re having a conversation and it won’t be RTed. If you don’t remember anything else, please make a note of that! What do you personally get out of running Blogger Bees? Is there any direction you’d like to take with what you’ve built up? I like helping other bloggers. Plus it’s a great way for me to read interesting content from all over the world. There’s no particular direction that account is going in but I can’t wait to see how it progresses. Do you think there are too many blog post re-tweet accounts now on Twitter, or would it be easy for someone to start one? I don’t know if there are too many or if there are some that aren’t using their platform to the best ability. Some are just retweet accounts which is a great way for bloggers to get noticed. There are others like Bloggeration and The Girl Gang HQ that not only retweet but have other engaging content as well. I try to bring more personal interaction between the bloggers so we can all get to know each other better. There are so many of us, lol. When did you start BDIB and why? I originally started BDIB in March 2014 and it started off as a blogger challenge where you had to upload different posts each week. It got really popular so I decided I would make a chat. I’m so glad I started it as I have met so many amazing bloggers through the chat! How much time a day do you dedicate to running the BDIB Twitter? I try and do it all in one day (usually a Monday) and go through emails, planning chats and rotas for hosting. I also try to schedule tweets to go live during the week incase I am busy working. I would say a good few hours trying to catch up on everything! Global! We have bloggers from a wide range of countries joining in. We set up #BDIBNA specifically for North American bloggers as they struggled to join in with the time difference. Who is the person behind BDIB and what do you do? 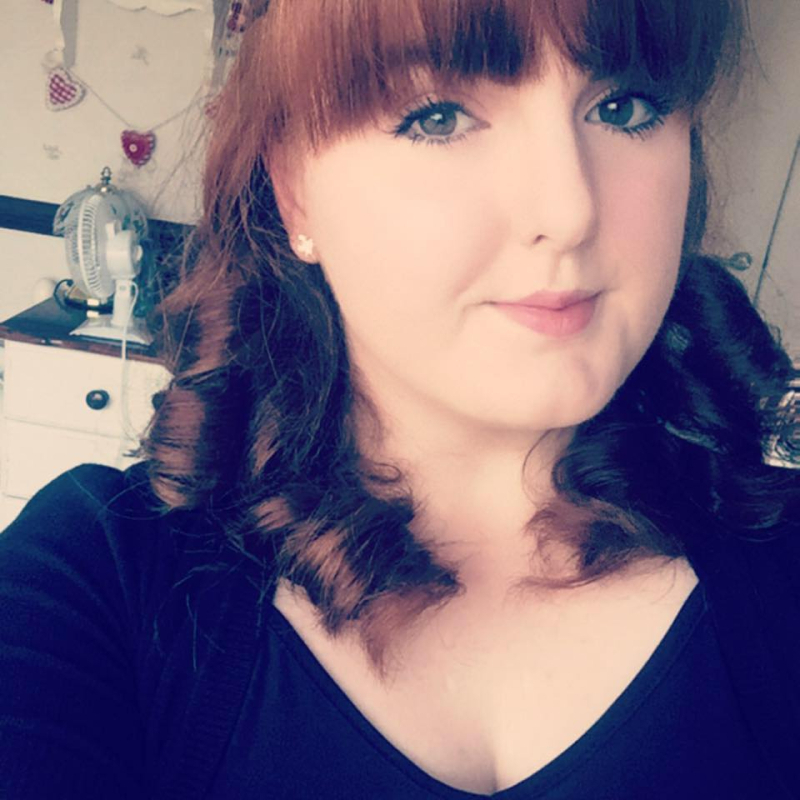 Hi I’m Gemma, I set up the Bloggers Do It Better chat, now known as #BDIB. I used to host the chat every week but realised a lot of people wanted the chance to host, so I started having a fixed team of bloggers who run the chats weekly. I still host, but like to give as many people as I can the option to host a chat. How did you get BDIB off the ground – how do you get people following? I just kept tweeting out. To start with I used my blog’s twitter to get people to go over to BDIB, and its just grown from there. I get lots of people who see someone else tweeting using the hashtag, so they just come on over to join in! They just sort of happened. I came up with the idea for the chat and started telling other bloggers about it through my own blog and twitter, and it just grew from there. #BDIBNA started as another blogger wanted to guest host but due to the transatlantic time differences couldn’t, so I set up BDIBNA for mainly bloggers in North America, but there are others who join in too. We have nearly 5,000 followers but each week it varies with who joins in. Yes, all the time! I like to hear new ideas for the chats, and how to improve it. I get a lot of emails from people wanting to host and sending in chat topics; I love hearing from other bloggers about what they would like to see! Do you Retweet every post that includes the #BDIB hashtag? If not, how do you choose what to RT, and how can a blogger make sure they get RTed? No, although I would love to, I just don’t have the time as we get so many. I try and retweet as many different people as I can so everyone gets a fair chance. I would say – just keeping using the hashtag or tagging our account. What do you personally get out of running BDIB? Is there any direction you’d like to take with what you’ve built up? I just loving having somewhere that I can go and talk to people! I love that I have built up a really supportive community where we help each other and support everyone. I would love to continue with the chats, but I would also love to set up a blog one day where people could guest post, and if they are a new blogger try and get themselves out there a bit more. There are quite a few, and I see new ones popping up quite often. Bloggers do like to have posts retweeted and it’s nice to be able to have another platform to get your posts out there. I personally think it needs to be more than just a retweet account and have some interaction with the bloggers as well, but I say just go for it, you will never know if you don’t try! When did you start Blogging Gals and why? I started Blogging Gals back in 2014 in my last year of university (crazy, I know). At the time, I was based in Northampton and felt that there were hardly any opportunities for bloggers out there to meet other bloggers, so I started Blogging Gals with the aim of connecting bloggers in the UK together, and here we are today… Still standing strong! How much time a day do you dedicate to running the Blogging Gals Twitter? Hmm…It varies to be honest. I can say this though, Blogging Gals is my baby so I’ll spend all day on her if I have to haha! I started Blogging Gals with the aim of connecting UK bloggers with one another, two years later we have people using the community in places like Bermuda, Nigeria, Australia, Canada, and many other beautiful countries around the world. Who is the person behind Blogging Gals and what do you do? I’m Zaineb a blogger myself, and a freelance blogger outreach specialist, social media manager, and consultant. 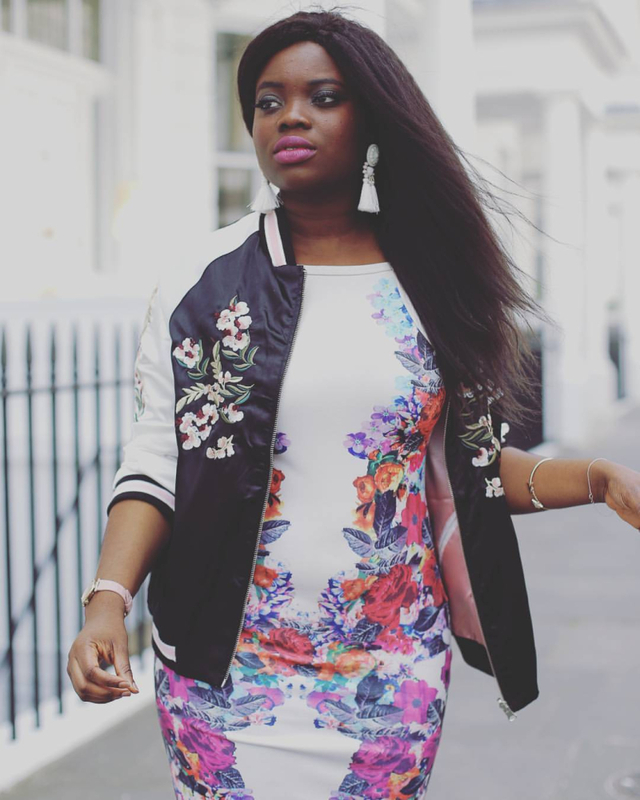 How did you get Blogging Gals off the ground – how do you get people following? My aim was to always set myself apart from the rest. There had been a few other communities who started out before I did, however, I noticed that they didn’t really have a personal approach or weren’t the face of their brand. As you can probably tell from my social media platforms, I always promote Blogging Gals, and any brand opportunities we have going on just because I think that it makes people feel more connected to the brand. This has helped in terms of building a loyal following. Naturally, we’re just very consistent, chatty, kind and supportive – these are very important factors to remember when running a community. Would you want to start a BloggingGals chat? If there weren’t so many about I’d probably answer yes, but as there are so many chats going on at the minute I’d have to answer no. 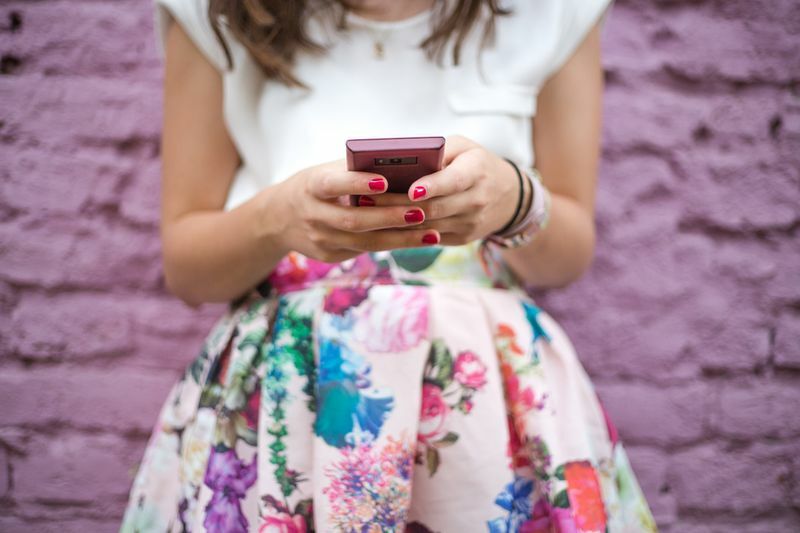 Blogging Gals are about setting trends and bringing fresh ideas to the bloggersphere. We are likely to host one off chats around events, campaigns, etc – but no weekly chats I’m afraid. Yes! For a while we were operating without a website and were constantly told we should start a website for our bloggers. Again, I didn’t want to have the typical “connect bloggers with brands” type website, so decided we’d start a blog and give bloggers from all over the world the opportunity to write for us. People also love when we collaborate with brands on one off events; I’ve been working on a few of these this summer, so keep your eyes peeled gals! I’m hoping to do events in and around London and the Midlands. 3) We encourage users to attach photos with their tweets as these typically do a lot better in terms of engagement. Tweets must be specific to a blog post as instead of “follow me on instagram/bloglovin”. We want our readers to find great content that could potentially help them with daily issues, their blogging journey, or anything else that could help enhance the user experience. What do you personally get out of running Blogging Gals? Is there any direction you’d like to take with what you’ve built up? I get the satisfaction of helping people grow their blogs, and connecting people together. In terms of direction, it’s something that I’m still trying to figure out. As mentioned above, the bloggersphere is so fast paced and forever changing… who knows what the next few months will bring, let alone a year! I do, however, hope to become one of the most successful online based communities EVER! I think that there are many, but I guess all the communities are about different things. You may have one that is more community focused like us, or one that’s more opportunities based. There’s plenty of room for more communities, providing they are focused on niche areas (rather than general ones like Blogging Gals), as there are too many already in this field. For example, if someone is good at cooking, a whole recipe-based community could be started up where everyone can share recipes. When it comes to starting up a community you just have to remember to be original and fast-thinking. If you have an idea execute it as soon as possible, or someone else will. What are your thoughts on blogger RT accounts? Do you use them? This is such a great post, so informative! I fully admit I don’t quite understand blogger hashtags, there are so many it can be confusing. If I do remember to use them and don’t get a RT it can be a slight bummer, I tend to think it’s because my blog isn’t super glam/lifestyle content, but obviously there is more to it than that as your post and interviews describe. Very helpful post, thanks! Thank you! Make sure you follow the RT account, and that you mention them in the tweet rather than tagging them. I know most accounts prefer that. Follow @Bloggeration_ and mention it, I’ll RT you! Thanks! Sorry if this is a super dumb question but what is the difference between a tweet mention and @’ing the account?